There is nothing better than cuddling up with your child on Christmas Eve and reading a few magical holiday stories together. It can become part of the Christmas memories you make with each other and even an anticipated tradition everyone will look forward to each year. As a parent, and anyone who loves books, you probably realize that the very best children’s stories are the ones that help shape who they become, inspire their goals, and take a special place in a child’s fondest memories. You probably have a few books in mind (maybe some from your own childhood), but here is a list of some of the best to read together on Christmas Eve. 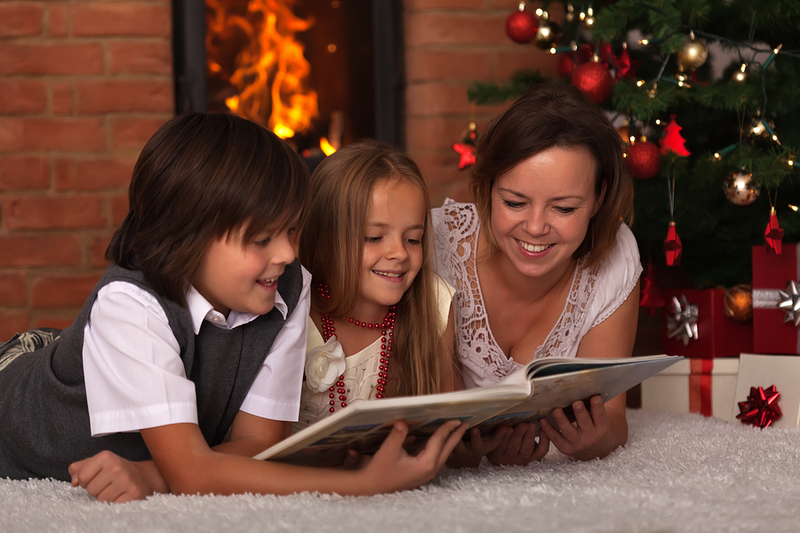 Reading a few stories on Christmas Eve is part of the holiday magic for children. The Night Before Christmas: This one is a classic and seems almost required reading if you are going to open a book on Christmas Eve. Just about everyone enjoys the magical, evocative words of Clement C. Moore’s traditional holiday poem about Santa’s arrival at one particular house and the fun of catching a glimpse of him. The Berenstain Bears and the Joy of Giving: Take the focus off of the presents as Brother and Sister Bear learn the true meaning of Christmas. It is a holiday themed book that teaches an important lesson about giving. The Polar Express: A magical story of children boarding a late-night train to visit Santa at the North Pole. The journey is about believing and the magic of the season. It is the perfect bedtime story to drift off to sleep to on Christmas Eve. Snowmen at Christmas: Did you know snowmen lead a secret life? Their story is revealed in this gorgeously illustrated book, where snow families gather in the town square, sing carols and get their own visit from “the snowman Kris Kringle” before they return to their positions in the front yard for Christmas morning. There are hidden objects within the illustrations for your child to find throughout the story, for extra fun as you read. Your Own Christmas Story: That’s right, a book written and created by you is a great way to share Christmas magic with your child. What better gift to give during the holidays than a book you made yourself? You probably want the results of your own Christmas book to look professional and still be quick and easy for you to make. There are a few options out there, but publishing your book through a site like Bookemon is so simple and affordable it could become your new holiday tradition. 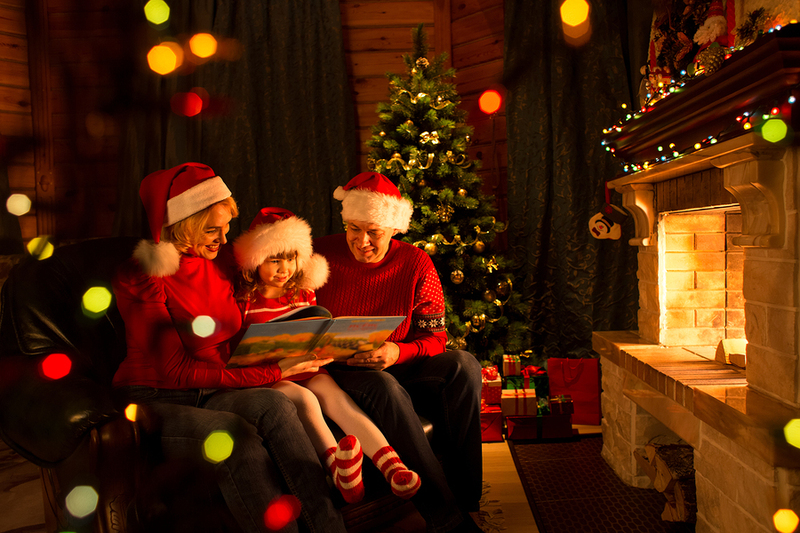 Make your own Christmas story to read each year, and you create a treasured tradition. Think about it. What if each year you made a Christmas book to read together Christmas Eve, and you kept the plot and story secret until the big night. What a magical surprise for your kids to look forward to each December 24th. First, go online and create a free account, choose from a selection of templates and then upload your story from PDF or Word Files. Bookemon has so many easy to use tools you can really make it your own beautiful creation. Customize the pages with the easy to use tools and clip art, or upload and edit photos or illustrations to your book. Once you are done, you can decide to order copies, but there is no obligation to buy. It is so fun and easy to create a custom children’s book, and get a professional looking result that you and your child will treasure for many Christmas Eve’s to come. The best part of making your own holiday book to read with your child on Christmas Eve is that you can personalize it to suit your child perfectly. From picture books, to stories, to your own comic book, the ideas are endless. Anyone can easily create a professional looking book that will be treasured forever. Try it out today for free.